What if you discovered a natural gas deposit beneath your business? Would you invest in a well for access to free energy? With an average of more than 300 sunny days every year, Arizona businesses have a unique opportunity to access an unlimited and totally clean power supply right above our heads. Using Arizona’s most abundant natural resource to cut energy costs and lock in predictable operating expenses can have a dramatic impact on your bottom line. 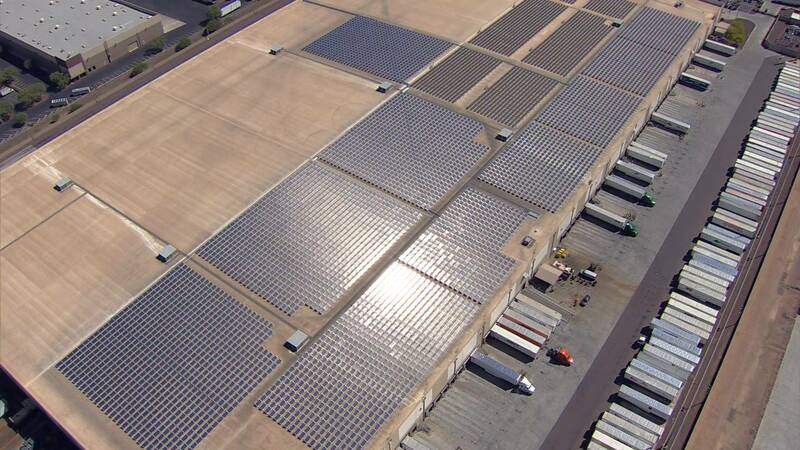 It’s the reason that some of the world’s most successful companies are also leaders in commercial solar installations. An investment in solar just makes good business sense. Our commercial solar team designs, installs, and maintains some of the highest-producing commercial solar energy systems in Arizona. We’ve helped groups such as Gatorade, Coconino County, and even the Catholic Diocese of Phoenix turn sunlight into significant financial savings. Each Sun Valley Solar commercial system is custom-engineered to meet the unique requirements of each business. We take the time to carefully evaluate each company’s unique energy footprint in order to provide a list of options that meet your energy savings goal.